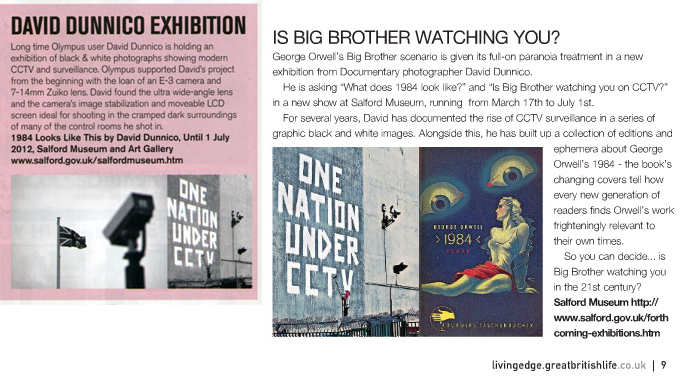 Olympus User magazine [L] and Living Edge [R] have mentioned my current exhibition which runs until 1 July. It includes my photos and collection of Orwell 1984 ephemera. See the 40 photographs which are displayed, in this slideshow.